Can Koreans help make peace in the Middle East? The result was a meeting with the leader of a four member delegation from HWPL, which stands for Heavenly Culture, World Peace, Restoration of Light. The focus was a discussion/interview with Mr. Jae Seob Jee, the Director of HWPL. Although we were both born in the midst of WW II, our only common language was the dedication to the quest for peace, since Mr. Jee spoke to me in Korean, and my side of the conversation was carried out in English. This could not have been accomplished without the aid of Ms. Vicky Kim, partially educated in California, who ably translated for the two of us. So what did I learn from Mr. Jee. The HWPL was founded by peacemaker Man Hee Lee, who was not yet 20 years old when he was a soldier on the southern side of the Korean War. 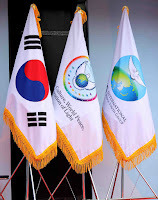 The hell of that war, the experience of being under heavy fire, was the trigger that set him on the path of peace.This led him to eventually found HWPL as an international nonprofit organization dedicated to peace, with 170 branches in Korea and around the world. This includes an International Women’s Peace Group and an International Peace Youth Group. From what I understood, the major concrete achievement of HWPL so far is having played an important role in resolving the conflict between Catholics and Muslims in the Mindanao region of the Philippines, something which the local government could not achieve. 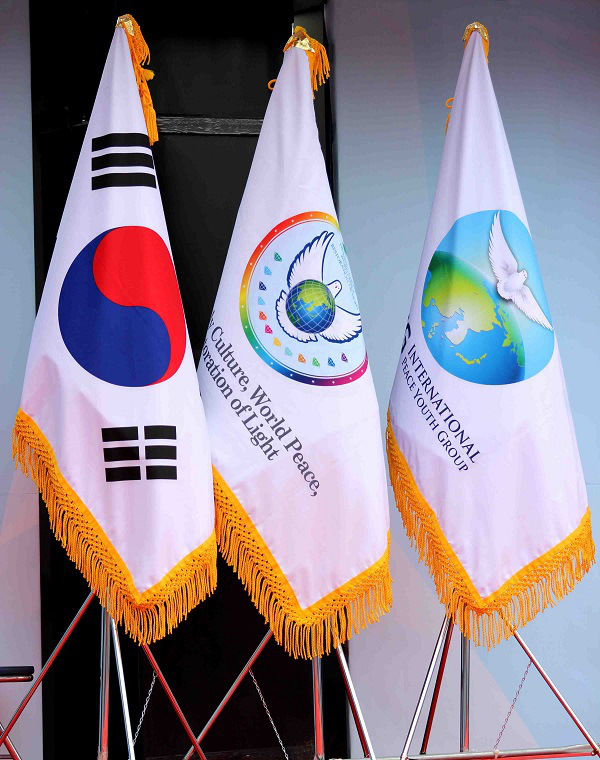 Clearly, an interfaith approach to peace-making is at the core of the HWPL philosophy. 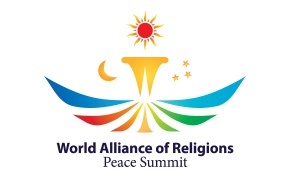 The organizers of the initiative announced their presence on the international stage when they organized a World Alliance of Religions Peace Summit from September 16-19, 2014, at the Olympic Stadium in Seoul. Over 1,200 religious and political leaders participated from over 130 countries, with over 100,000 people in the stands in an opening ceremony which rivaled any Olympic opening ceremony. Mr. Jee told me that the delegation came to meet with veteran Israeli activists and leaders, and their goal is to establish local groups of Israelis and Palestinians, particularly young people, who are committed to peace and understanding between the two peoples. Clearly achieving peace between Israelis and Palestinians is a challenge on a much larger and more complex scale than resolving the differences between Catholics and Muslims in the Mindanao region of the Philippines. But given the current impasse in Israeli-Palestinian relations, the readiness of any people of good will to try to help advance a peaceful resolution of our conflict should be welcomed. What about North and South Korea? I couldn’t help but ask Mr. Jee about what HWPL has attempted to do closer to home, in connection with the North-South division of Korea. And I told him that on my desk I have a piece of the Berlin Wall, to demonstrate that walls can and do come down, sometimes when you least expect it. His response was that of course they have reached out to their brothers in North Korea, but so far to no avail. And I read that the founder of HWPL, Mr. Lee, issued a Declaration of Unification in 2010, aiming at the unification of his home country. Peacemaker Man Hee Lee, Founder and Chairman of HWPL, issued a Declaration of Unification for Korea in 2010. When looking at a video of the World Alliance of Religions Peace Summit, I saw a familiar face, that of Rabbi Jeremy Milgrom, who apparently represented the Jews of Israel at the Summit. So I called Rabbi Milgrom, a veteran of interfaith and peace-oriented activity. He told me that the Peace Summit experience was quite impressive, yet he wonders exactly what the HWPL people hope to achieve in our region. His suggestion is that they should try to focus on concrete projects that will help to promote Israeli-Palestinian peace and understanding. And I couldn’t help reflecting on another South Korean who is on the international stage, and also on the cover of the latest issue of the Palestine-Israel Journal, UN Secretary General Ban Ki-moon, who is trying to promote Israeli-Palestinian peace. One of the constructive ideas that is currently on the international agenda is to pass a new UN Security Council Resolution to update UNSC Resolutions 242 and 338, that will set the internationally accepted parameters for a resolution of the Israeli-Palestinian conflict, for the sake of both peoples. So maybe hope for Israelis and Palestinians can come from the Far East, from the HWPL, with their interfaith work, and their work among women and youth, and also from the UN Secretary General. After all, the sun does rise from the east. UN Secretary General Ban Ki-moon, another South Korean who hopes to help bring peace to the Middle East.